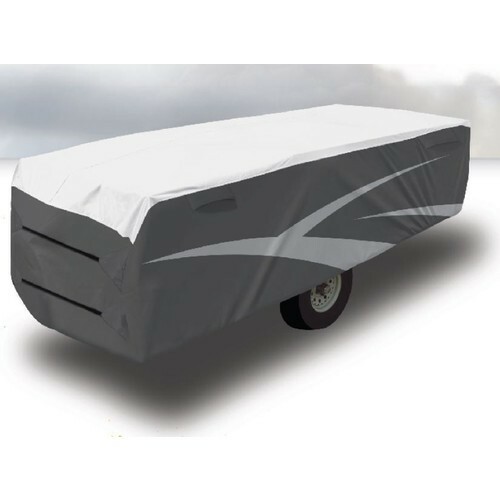 A popular and reliable choice of motorhome accessory, this ADCO camper trailer cover is compatible with trailers ranging from 12 to 14 feet in external length. 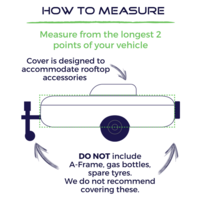 Serving as the ideal all-weather protection for your trailer, the cover is intelligently designed to fit the vehicle snugly. Its elasticised hems and slip-seam strap mechanism, together with its buckle cinching systems, prevent billowing and reduce wind impact, keeping dust and scratches from damaging the body of your trailer. 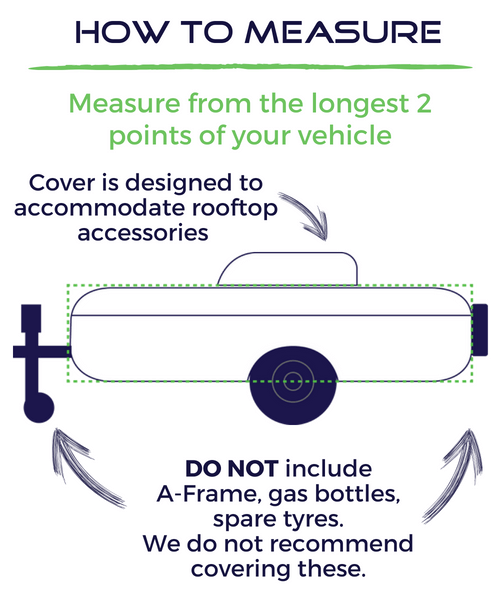 The Dupont Tyvek multi-layered roof panel of the cover blocks up to 99.8% of harmful UV rays, preventing your trailer and its soft furnishings from ageing prematurely. Armed with an ADCO camper trailer cover, your 12-14ft trailer gets highly effective moisture protection. 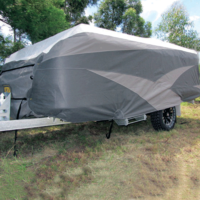 The cover is breathable in order to maintain air circulation around your trailer, thus keeping it free from mould and mildew through the off-season. Sporting a high-quality, extremely durable build, the cover comes with an extra reinforced design, double stitched corners, and high quality zippers . 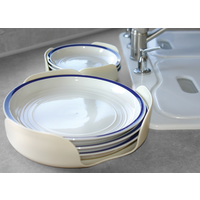 Its sophisticated modern looks are complemented by a convenient toss-under buckle mechanism for quick and simple installation. 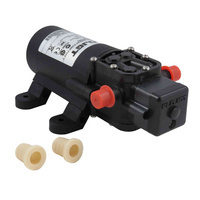 Partner your trailer with this high quality ADCO product and keep it protected for years to come. Breathable fabrics prevent mould and mildew . 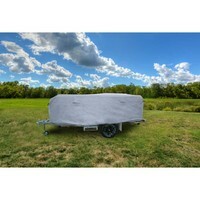 Purchased the ADCO camper trailer cover recently to cover my Rockwood Camper which fitted perfectly. The front and rear straps along with the underside straps work well to ensure a snug fit. Cover was large enough to cover the rear spare wheel the bike tracks on the roof as well as the 2 x gas cylinders and battery at the front.